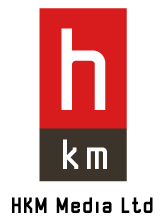 HKM is a magazine publishing group which has published numerous titles in its homeland of Sweden, as well as Ireland, and abroad since 1994. We work on a variety of products, both our own publications and bespoke publications made to order from a variety of clients. Our emphasis is on high quality editorial and design, always with the reader in mind. We have become well renowned for our work in the lifestyle and culture markets, with Totally Dublin a key example. A free arts, culture and lifestyle magazine for the capital city, Totally Dublin has published monthly for over ten years, beginning in November 2004, and is the market-leader in free publications. Celebrated universally for its intelligent, urban content and sleek Scandinavian-influenced design this magazine and its online extensions have won several awards and has become regarded as the most influential publication in the country. HKM has, since 1994, offered its readers high quality content in a range of media products, all created with the intention of tapping directly into their selected target markets. During this time, the media and economic landscape has changed considerably, however HKM has consistently provided quality media options for both readers and advertisers. The primary reason for this is that what readers want is the starting point for all HKM products. By putting the reader first, we want them to take the product and its advertisers seriously. There is a crucial difference between ad sheet and newspaper or magazine: we serve our audience first, which in turn serves our advertisers. Regardless of what you are looking for, HKM has a product for you. Our influence is far reaching and has touched everyone from students to executives.